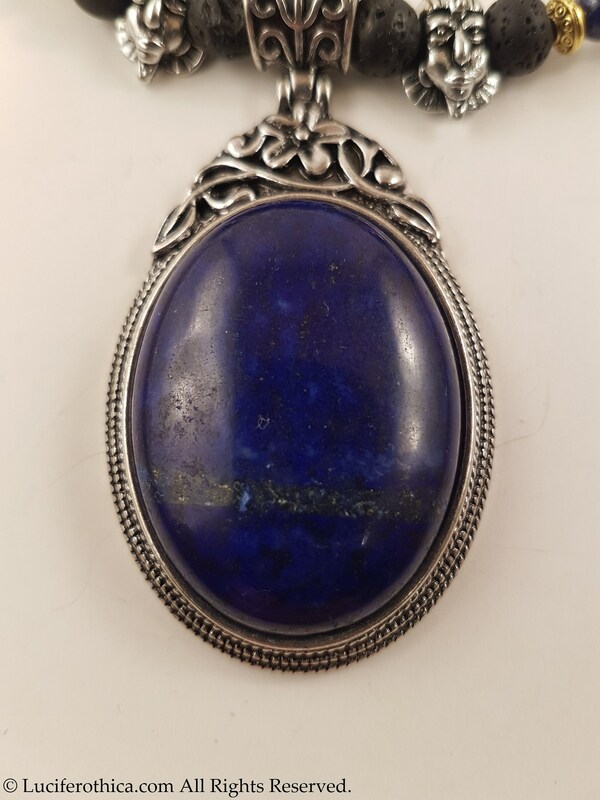 One of a kind, unique piece. 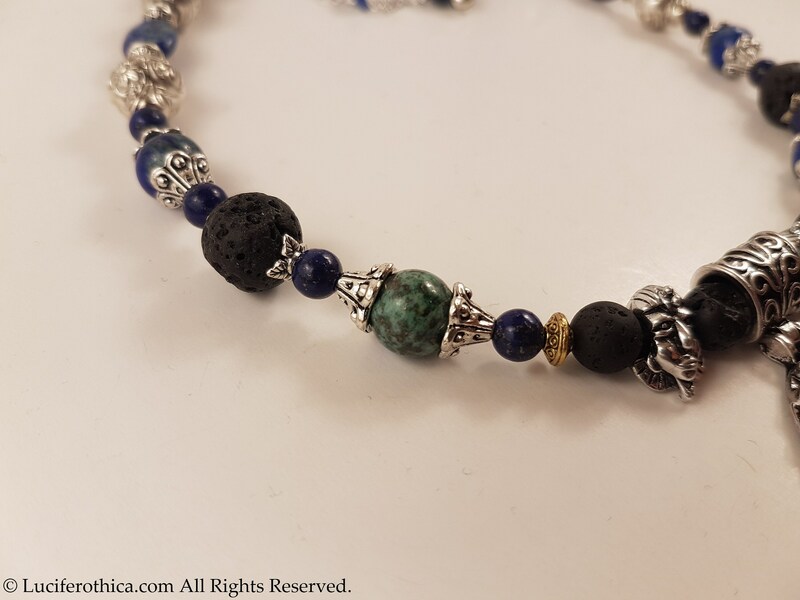 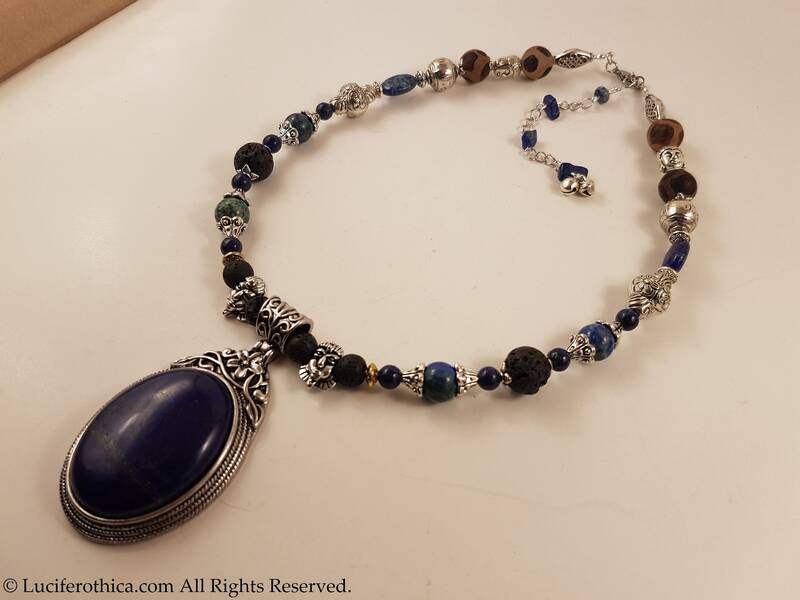 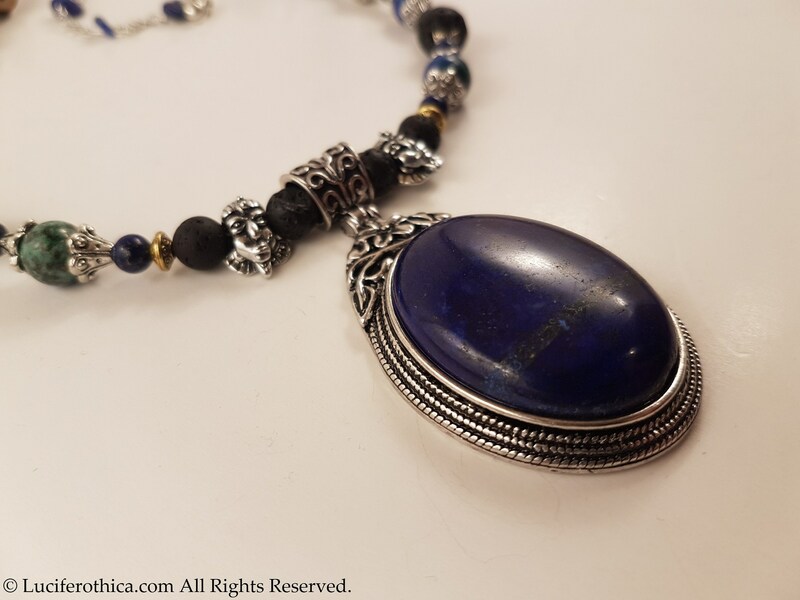 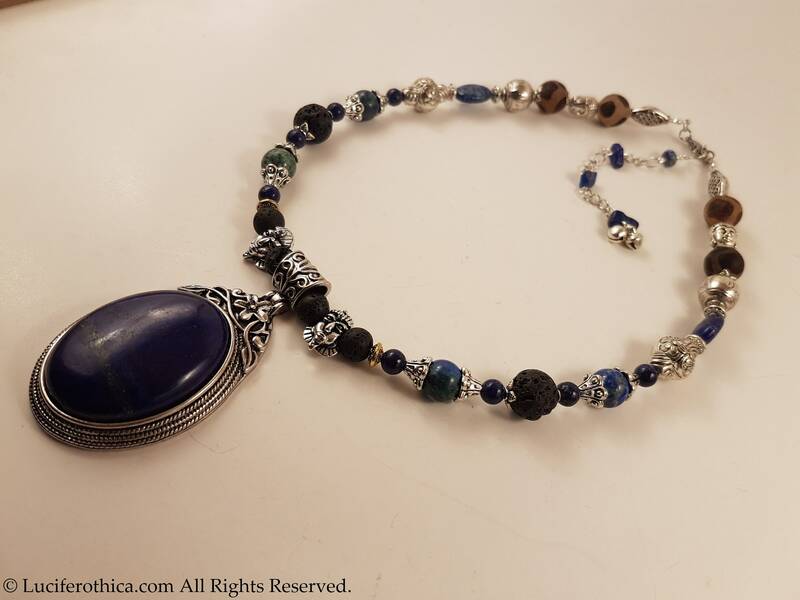 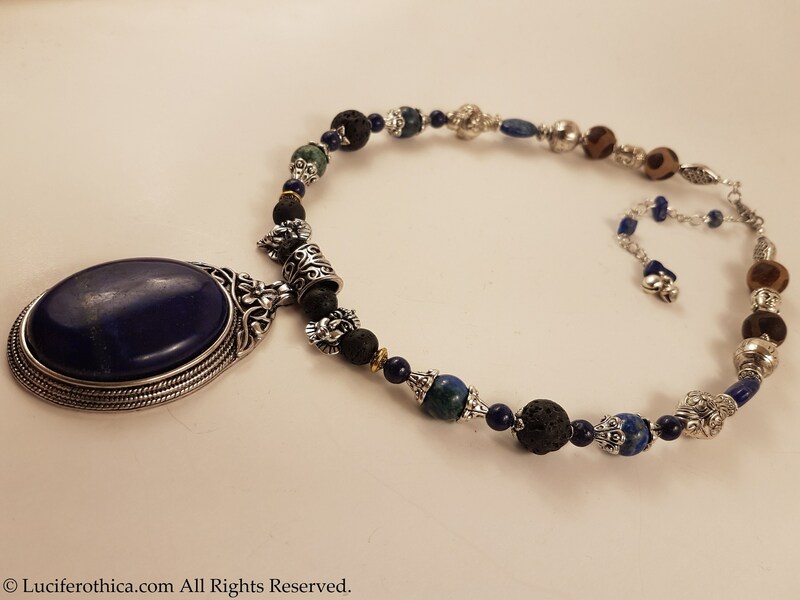 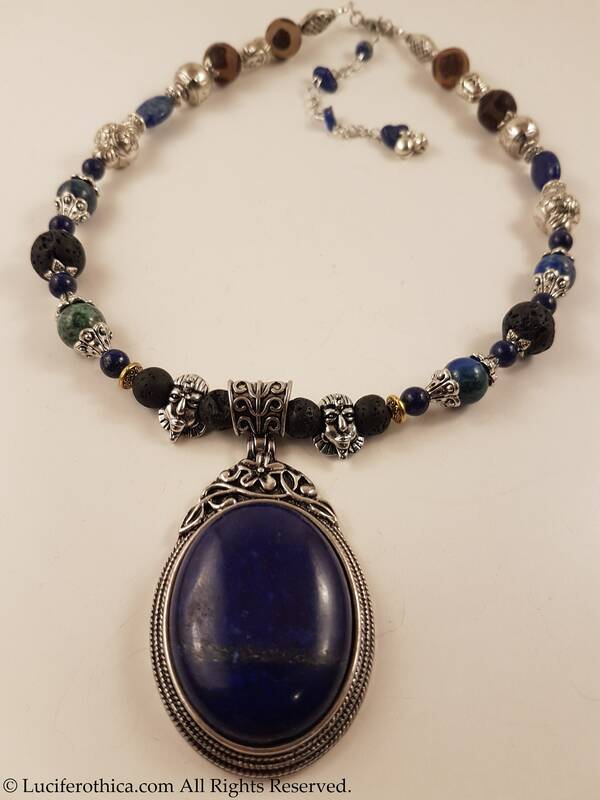 - Many Lapis Lazuli gemstones and 1 big cabuchon. 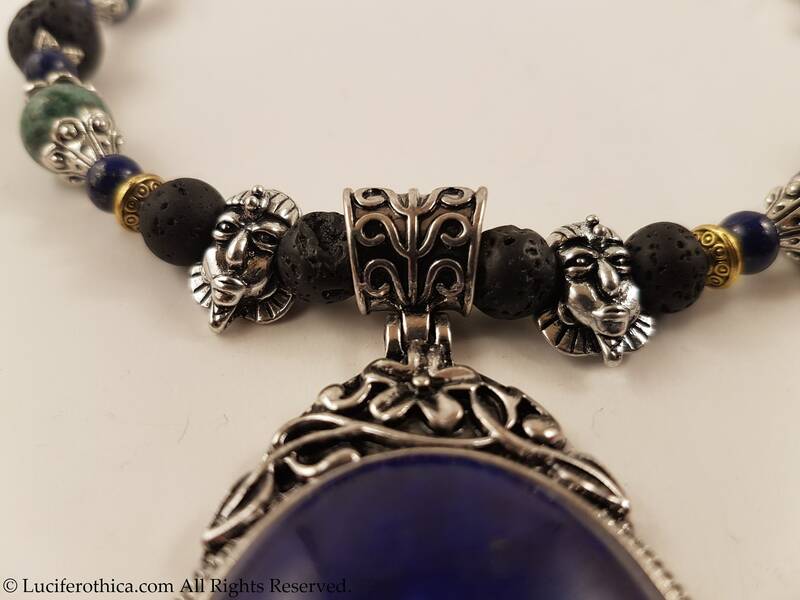 - Diferent style of silver colour beads. 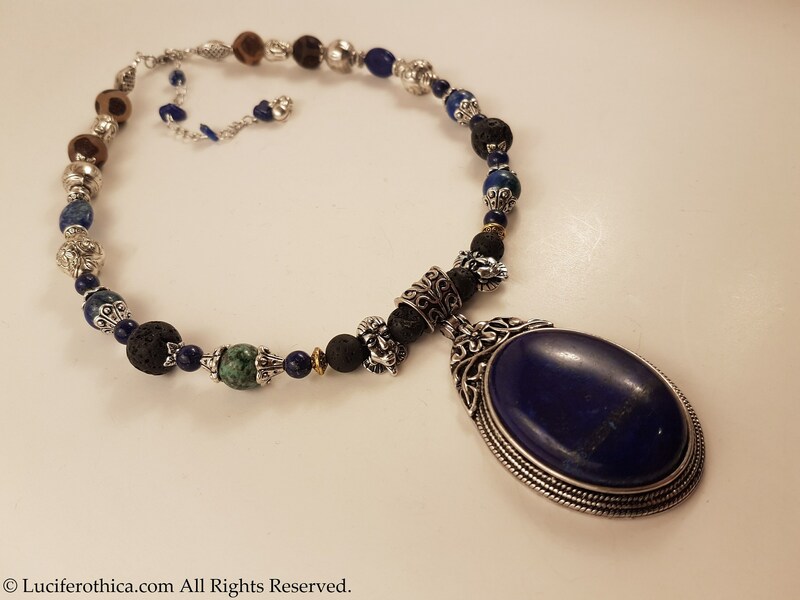 * 42cm in lenght + 9cm decorated extension chain to adjust to your own size.